It's Not Serious! : 40% OFF on all my cards!! 40% OFF on all my cards!! You must know by now that Jason and I are moving to France permanently in just a little bit less than a month (Eeeeek!! 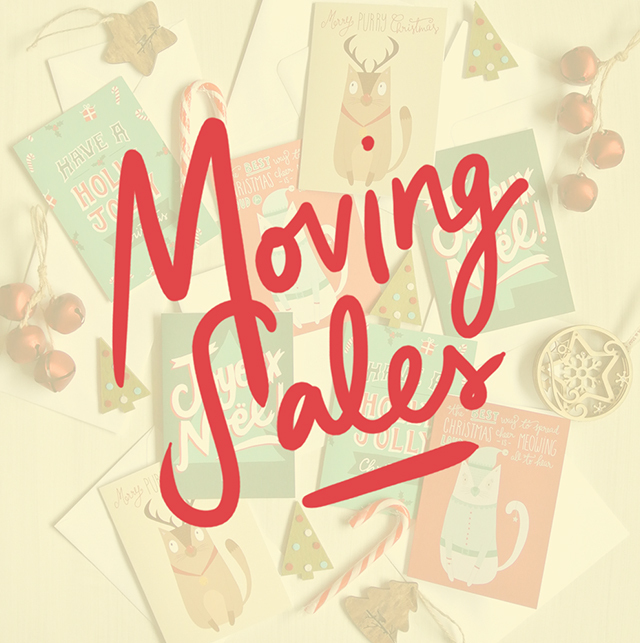 ), and with Christmas around the corner, I thought it would be the best time to do a massive moving sale on all my Etsy cards! So from today and until the 5th of December, you can get 40% off on ALL my unique greeting cards in my Etsy shop! You just need to use the code MOVING40 when you're ready to check out. Pretty cool isn't it?! So get shopping RIGHT HERE!